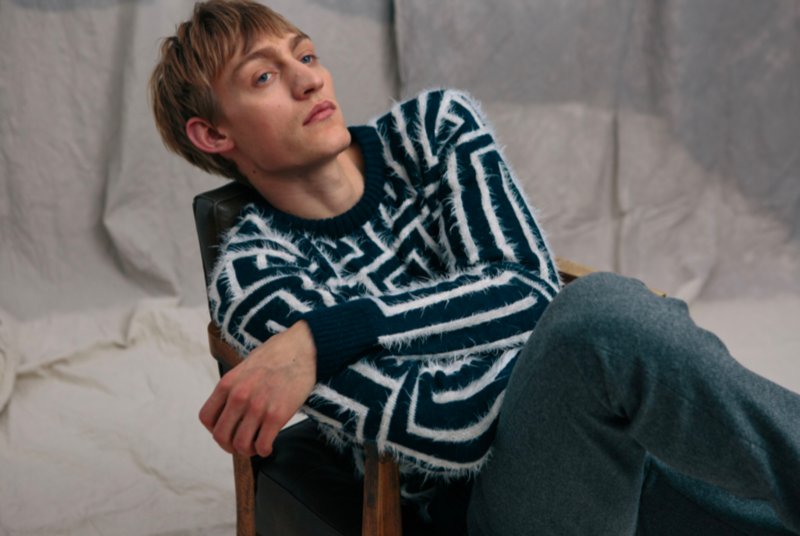 We went behind the scenes to find out more about Chris, who founded Thread with his brother Mark, and Gwilym, Thread’s store manager for our Winter edit. Q: Why did you get into fashion? Gwilym: It was an accident really! Whilst I’ve always had an interest in the field, I initially started working at Thread on the weekends whilst studying literature at the University of Brighton, and honestly, I would have taken anything at the time. That was 5 years ago, and I pretty quickly realised how lucky I was to have fallen into such an exciting enterprise with such welcoming and ambitious people. Q: We’ve always found the people at Thread a lovely bunch! Chris, tell us about your home brand Far Afield. Chris: Far Afield was founded by myself and my brother Mark in 2016. Together we have 10 years experience in menswear design, production and retail. Far Afield is heavily influenced by global travel – it is the colours, textures, sights and experiences. Be it a rainy city in England or a tropical setting in a far away land, we take these experiences and combine them with our passion for design. For us to have a kind of flagship store, where we can showcase every piece of the collection, is a real treat for our loyal Brightonian followers. Shameless plugging for those who haven’t seen our brand, go check us out – farafield.uk. Q: Thread always has impeccable collections in-store. What other brands do you work with? Chris: Our selection of high-quality brands include our home brand Far Afield, plus other great brands such as Fjällräven, La Paz, John Smedley, Komono, Nick Bronson and more. When buying, we always look at our current home brand collection, and look at items that would complement a whole look. For example, we would buy some great knits by La Paz and then some technical outerwear pieces from Fjällräven. We always buy heavily into accessories, so for us, it is offering a customer that chance to buy a full look, but with our home brand as the main emphasis. Q: In this chilly weather, what can shoppers find in the winter collection? 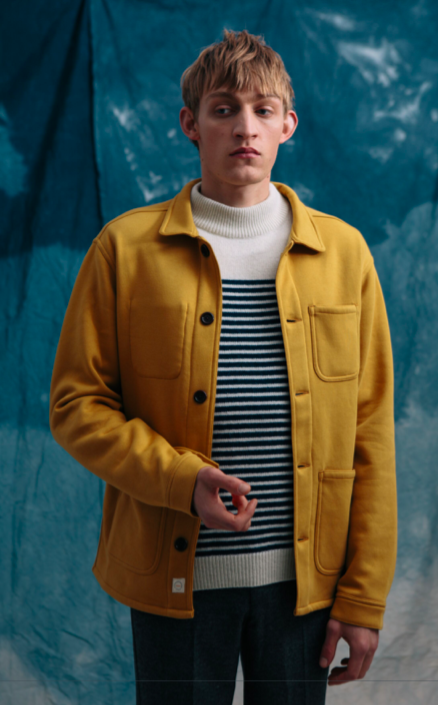 Gwilym: Layering is dominant, with vintage tailoring, donkey jackets and overcoats meeting heavy gauge knitwear and a modern approach to shirting and prints. Insisting on the highest quality, the best yarns and woven fabrics are used: flannels, herringbones, cashmeres, wools, corduroy and twills make this the perfect Winter collection. Q: And what are your winter essentials? Gwilym: Lots of people consider winter wear as being functional or dull, but I would argue that it’s the opposite. It’s hard to outline an essential piece because constructing the best winter looks come from the layering of several garments, playing around with textures and cuts, utilising those pieces in your wardrobe you completely forgot about. Saying that, I’m a sucker for a smart look. Go with good tailored wool trousers and a cashmere jumper, and contrast this with a slouchy button down or work shirt. A good umbrella never goes amiss either. Q: Congratulations for 5 years on Dukes Lane! What makes the Lane so special? Chris: Thanks! We’re proud to be turning 5 years old and to be part of the special Dukes Lane community. Everyone knows each other and greets you with a smile. Many of the stores could be seen as competitors but its never really felt like that, instead we all compliment each other. For a store as small as ours to exist alongside some of the largest names in the industry, and to feel like we belong here, is quite something! Q: Thread is definitely part of the Dukes Lane furniture! Gwilym, I know you’re a Welsh charmer, so why Brighton? Gwilym: I moved to Brighton from a small village in South Wales about 6 years ago, and despite the longevity of my stay, and innumerable of my closest friends leaving for pastures new, I am still enamoured by it. The city offers a vibrant music scene and general culture of creativity, and its small size really facilitates spontaneity. I could resign myself to a quiet night in, then be at any wealth of events within half an hour if I changed my mind. Q: There’s certainly a lot on offer. What is your perfect weekend in Brighton? Every weekend in Brighton’s a perfect weekend, right? Sleeping in and then heading down the beach to read for a little while. We certainly feel inspired to layer up the Thread way! You can find Gwilym and the team at 9 Dukes Lane. Come say hi!